Need a gift for a friend or loved one? 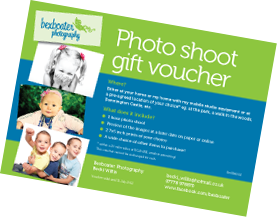 Why not purchase a portrait photo shoot gift voucher and create some beautiful memories to last forever? At my home studio in Thatcham, Berkshire RG19 or at a pre-agreed location of your choice* eg. at the park, a walk in the woods, Donnington Castle, etc. For individuals, families, children, couples, babies, maternity or even pets! A wide choice of other reasonably priced items to purchase! You can also purchase other add-ons to include in your voucher, such as canvases, albums and print packages, or upgrade the one hour photo shoot to a 2-4 hour newborn shoot as required. I will fully tailor the package to your individual needs. * within a 20 mile radius of RG19 4RE, weather permitting! 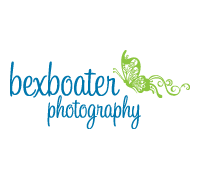 For more details or to purchase a gift voucher, please just email me at: bexboater@hotmail.co.uk, visit my Facebook page and message me at: www.facebook.com/bexboater, get in touch via my online form, or call me on: 07778 978870. I look forward to hearing from you!